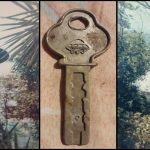 PHOTOS and VIDEOS: Concrete evidence of contact between the Maya and the aliens in a cave in Mexico. 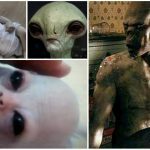 Residents in the outskirts of Puebla, near Veracruz, Mexico, found in the forest jade stones with mysterious sculptures that seem to represent some humanoid beings with large heads, similar to the real gray aliens. 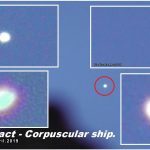 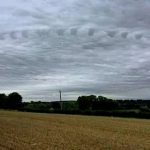 This discovery was made in March 2017 and the news was spread via Twitter by journalist Javier Lopez Diaz who works at CincoRadio, where some of the stones with images were studied and analyzed by experts. 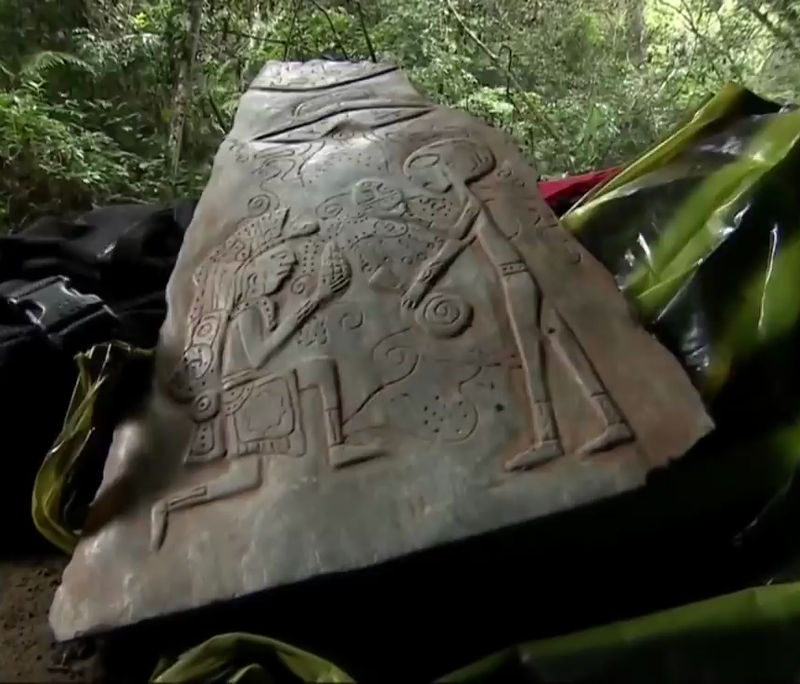 Lopez says that what can be seen engraved on the two stones could represent a real “contact” with beings from other worlds, which occurred during the development of the Maya or Aztec civilization. 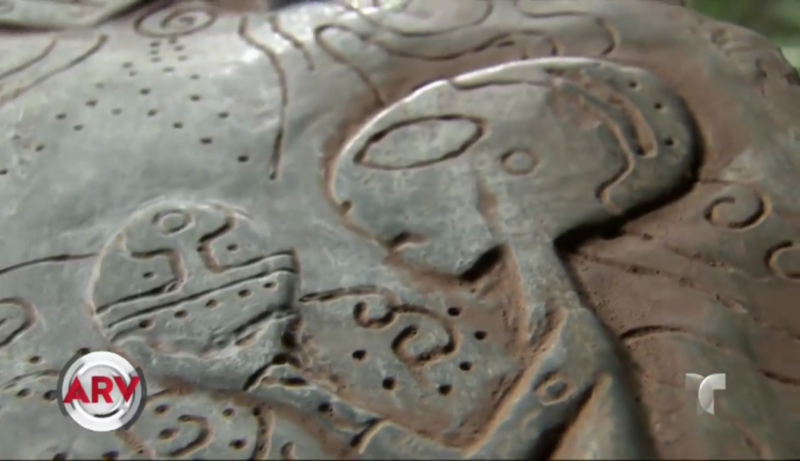 The authenticity of the artifacts found in the vicinity of Puebla and Veracruz, seems to be confirmed by the inspection of a cave where other remains were found, including historical petroglyphs that reproduce real scenes of an ENCOUNTER between beings from other Worlds and representatives of a pre-Hispanic culture. 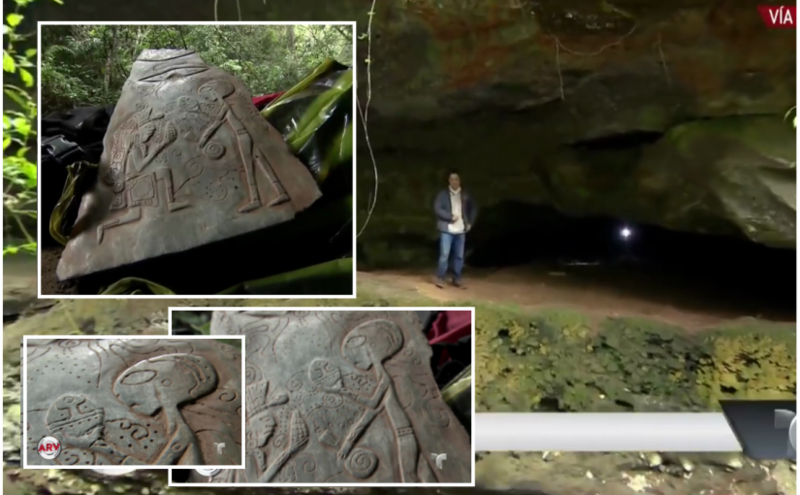 After little more than three months after the discovery of the stones, during an expedition carried out by members of the JAC Detector team of José Aguayo together with other collaborators known as “treasure hunters”, they discovered by chance a stone carved in a cave where there are printed drawings with humanoid forms. 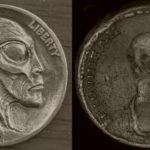 Two of the members of the research team immediately reported some surprising results while they were inside the cave, the visible images could represent the historical relationship between humans and aliens. 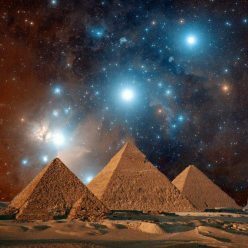 Next, the presence of fragments of very thin gold sheets was perceived with surprise. 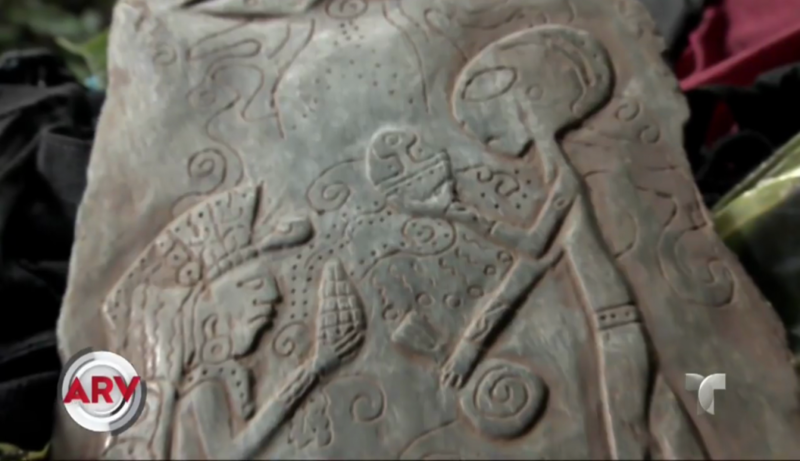 Continue reading PHOTOS and VIDEOS: Concrete evidence of contact between the Maya and the aliens in a cave in Mexico.